The Teochew Entrepreneur Award aims to celebrate and promote successful and promising Teochew entrepreneurs who not only contribute to the business community and economy but also the social community. These entrepreneurs will serve to provide leadership and also as guiding examples for emerging and young or would be entrepreneurs. This award is presented to the exemplary few who have shown outstanding performance in the communication of their visions, brands and strategies. Dr Low Lee Yong is one of the 5 individuals who received the 8th International Management Action Award from the Minister for Health Mr. Gan Kim Yong at the Award Ceremony held at Mandarin Orchard Hotel on 9th November 2012. The International Management Action Award (IMAA) is an international award to recognize outstanding individuals who have demonstrated exceptional ability in taking management action to achieve sustainable, tangible results for an organization, society or the nation. MHC received this award along with global players such as Google and P&G on the 19th July 2012. The CMO Asia awards recognise organisations for their branding and marketing initiatives, and for the strength of an organisation's brand among target audiences. MHC received this award on the 19th July 2012. The award is presented to companies who have demonstrated best practices in Employer Branding and outstanding leadership contributing to “Talent Management, Talent Development and Talent Innovation". MHC won the Promising SME 500 (2012) award for its outstanding achievement in the medical sector. The SMBA Promising 500 Awards is presented to SMEs based on Leadership, Innovation, Performance, Value and Sustainability – the potential for continued growth and expansion of the business. MHC Asia Group was one of the winners of the Singapore Prestige Brand Award (SPBA) under the Established Brand category. The award was presented by Deputy Prime Minister Tharman Shanmugaratnam at a ceremony on 8th December 2011. MHC Medical Network Pte Ltd is one of the winner for the prestigious Enterprise 50 (E50) 2011 award. Dr Low Lee Yong, CEO & Founder of MHC Asia Group, received the award from Guest of Honour, (Minster of State for Trade & Industry) Mr. Teo Ser Luck at the Raffles Convention Centre on 23rd November 2011. The “Exceptional CSR Practice” category recognises companies with Corporate Social Responsibility (CSR) practices & programmes, outstanding HR, Health & Safety, Work Life Balance policies, environment & sustainability commitments. The SME1 Asia Award 2011 recognises successful Small and Medium-sized Enterprises (SMEs) in Singapore that are socially responsible. The “Distinguished SMEs Award” in particular is awarded to enterprises that have been in operations for many years and have established themselves as the exemplar model for successful SMEs businesses in Singapore. The award was presented by Mr Seah Kian Peng, then CEO of NTUC Fairprice Co-operative Ltd.
MHC Medical Network Pte Ltd was recognised as one of the top 1000 companies in Singapore in 2011. Singapore 1000 analyses over 70,000 audited financials each year to arrive at the top 1000 corporations and SMEs in Singapore. The rankings are shared publicly and distributed to government sectors, embassies, trade organisations, banks, universities and libraries. MHC Medical Network Pte Ltd was awarded the Merit Award for Emerging Enterprise 2010 on 10 June 2010. 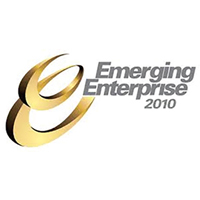 Emerging Enterprise is an award started in 2008 by The Business Times and OCBC Bank to recognise outstanding small and medium enterprises (SMEs) in Singapore. Dr Low Lee Yong was one of the 15 entrepreneurs who were awarded the coveted prize of “The Entrepreneur of the Year 2010” award and “The Entrepreneur of the Year Award 2010” winner for the Info-Communication and Technology sub-category sponsored by StarHub on 2nd September 2010.